The temperature is changing and we can already feel the crisp, cool days of fall approaching; during the season, you will get the chance to engage in a lot of activities since the season brings numerous activities and events for everyone to take part in. 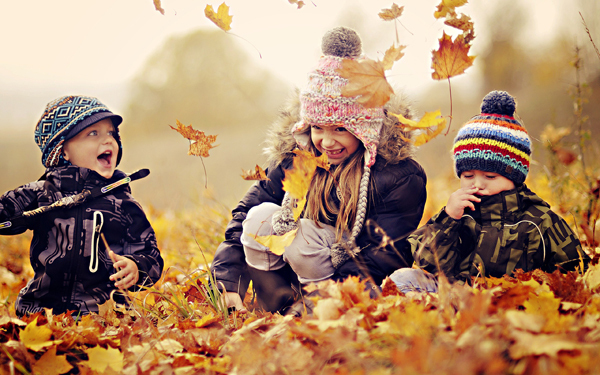 Whether you plan to visit a pumpkin patch or collect a variety of colorful leaves for crafting projects or decorations, you and your children will definitely have something to do this fall. Instead of just watching the leaves fall with your children, why not teach them a few interesting things about autumn: why the leaves actually change colors and fall during this season, as well as other mind-blowing information that they never really knew. Impress your children with these smart and interesting ideas that they can also share with their friends. If your child enjoys Greek mythology, they will surely be interested in its connection with autumn; this was the season when the daughter of Demeter, Persephone, was seized by the God of the underworld, Hades. When she was abducted, Demeter, the goddess of harvest, ended up distressed and the ground became cold and sparse. However, when Demeter’s daughter returned during spring, the plants started growing and life once again bloomed due to Demeter’s happiness. Autumn is also known as the Autumnal Equinox and on this day; the hours of daylight and darkness are equal. This is because the sun aligns with the Earth’s center between the northern and southern portion of the planet. Since this is the time when nights become longer than usual, you and your children can enjoy playing out in the evening with the Whistlecopter toys to see beautiful and bright LED lights that shine in the sky. These awesome toys look just like real fireworks when launched at night, so you and the whole family will definitely enjoy watching the beautiful scenery during fall. Squirrels spend the whole autumn gathering food and acorns and contrary to popular belief, they do not hibernate for the winter. Instead, they spend most of the time in their nests to shelter themselves from any form of harsh weather. When these furry little creatures come out during winter, they go through the snow and search for the food they collected and buried during fall. Fall is known as harvest time for communities in the north but depending on where you actually are, there usually is some type of autumn festival that is being celebrated. One of the traditions that is being celebrated is Thanksgiving, while in Germany, they celebrate the famous Oktoberfest. During Thanksgiving, people and families gather for an enjoyable day of feasting and even playing football with the whole family. Aside from football, you can also spend the day together by playing with the cool Whistlecopter toys. If you plan to give your children gifts during this celebration, give them cool and different gifts such as the light copter or the rocket copter. Aside from the beautifully colored leaves during fall, the aurora borealis, or better known as the Northern Lights, is more visible during this time of the year. The beautiful sight is more visible because of the geomagnetic storms that are most likely to occur during autumn because of the cool and pleasant evening weather. When we say autumn, most people, especially children, automatically think Halloween since it’s a big part of the season. The concept of wearing costumes and masks during Halloween comes from the ancient Celtic tradition since they believed that ghosts usually roam during Halloween. Because of this, people wore different types of disguises to avoid and hide from these wandering spirits. Today, adults usually celebrate Halloween by watching horror movies or going to costume parties where they recreate graveyards and haunted houses. For the children, they always dress in fancy and adorable costumes then go visit the homes in their neighborhood to go Trick or Treating. If you are planning to hold a Halloween party, one of the fun activities that you can include is playing with the Whistlecopter during the night; after the party, if you want to give some souvenirs to the little guests, you can give them awesome toys such as the light copter or the rocket copter together with a few bags of goodies and treats.